The Vol. 6, No. 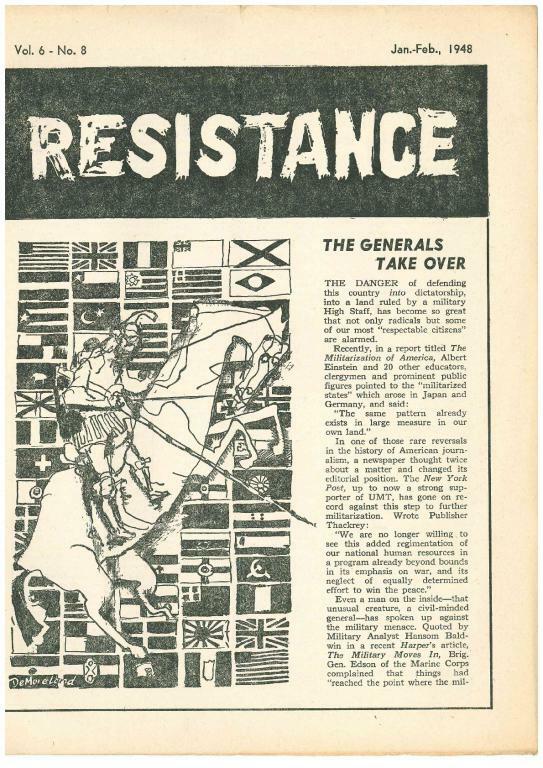 8 (January-February 1948) of Resistance, an anarchist publication produced out of New York. -SUP and the hiring hall by Glory Ho. -Anarchism and/or the family by D.K. -The Catholic republic by V.F.